In its initial stages, content marketing was merely a new and exciting inbound tactic for driving traffic. Early adopters thought that focusing on “pull” over “push” was advanced enough in its own right, leaving a lasting and insufficient impression on how marketers should be measuring the efficacy of their content programs. Thankfully, as content marketing evolves, practitioners are now able to prove the ROI of content with stronger KPIs, and even go to the extent of using content across all stages of the customer journey. Even with all of the growth that has taken place in the industry, some marketers still struggle when it comes to justifying the ROI of content. A common misconception (and one that continues to pervade companies of all sizes) is that content is an asset created to influence only top-of-funnel actions, and can’t directly translate into sales. Many still question whether you can really leverage different content formats to bring prospects from brand awareness to consideration, intent, and lastly, action. That’s easy to understand when “Content Marketing = Traffic” has functioned as the equation; because sure – content marketing is a very effective way of driving targeted audiences to owned pages. But that’s not all. Lately, we’re seeing more and more brands successfully tackle cross-funnel customer journeys with smart content strategies. In return, they’re delivering on leads, making sales and giving greater meaning to content ROI. Armed with content, it has made sense up until now to seek effective channels like display or even paid social for driving cross-funnel engagement. But unsurprisingly, marketers have struggled to produce lasting levels of engagement with push formats like pop-ups, pre-rolls, and banners, as they are disruptive and offer very little value to audiences who may not be ready to move through the funnel. After all, the “in-feed” and “opt-in” environment is a much more intrinsic and natural way to capture audience attention. So, what’s been working then, for these successful brands? Capturing the interest moment by creating in-feed experiences. Today, global fashion brands like Reiss are using content discovery to authentically capture audience attention by being in-the-feed and delivering value in an opt-in manner. It’s about letting audiences pro-actively choose to engage with your content. It’s clear, from examples like the one above – marketers are learning to understand how content can help them find audiences that might not necessarily be searching for their brand, but can be nurtured to take action and make purchase decisions with them. And as it has become harder than ever to win the attention of consumers who are blocking, skipping and ignoring ads, knowing how to reach them at the right moment with the right content is of utmost importance. Ultimately, it’s about providing value beyond an ad message. So, how do you capture your audience attention? The intent moment – Users are after specific nuggets of information and will search to find useful content that addresses their query. The influence moment – Audiences go online to interact with family, friends or follow their favorite brands and celebrities on social platforms. The interest moment – Online browsing, video viewing, and reading the news take place as audiences try to discover content that interests them. You’ll need an effective strategy across all three stages in order to gain the attention of your audience. Not only using content to drive prospects through the funnel, but also for driving continued engagement, keeping them in that customer tunnel, while producing outcomes for their companies. According to a study by Kissmetrics, new customer/user acquisition can cost up to 7x more than customer retention. Yet, many content marketers are so focused on driving audiences through the funnel and casting the net as far as they can, often forgetting the lifetime value of an audience member who has already chosen their brand. Why not nurture those relationships, driving repeat purchases, loyalty, and even advocacy? This was a very special session, as we celebrated the crossing of 1,000 members in the Content Conversations group! As audiences continue to evolve in how they consume and interact with content, so too will the practice of content marketing. We’ve seen great growth in how marketers are leveraging and measuring their efforts, but only those brands who are quick enough to adapt will survive in this overloaded content marketplace. Hopefully, some of the topics we’ve discussed in this article and have packed into our quick video on full-funnel content marketing will act as a guiding light for how you seek to capture audience attention and engagement throughout the customer journey and beyond. Since 2013, Content Conversations has been gathering professionals in the marketing and publishing space to discuss topics spanning across content marketing, the intersection of content and advertising, the future of publishing and native advertising. To help us celebrate, watch this video featuring some of the amazing people who have participated so far. Content Conversations, a meetup brought to you by Outbrain, is a forum for information sharing and networking. 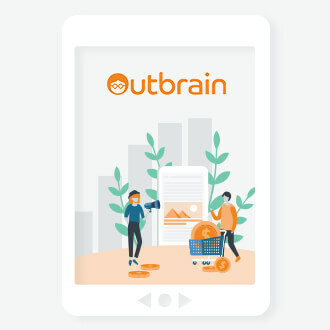 Thank you to everyone who helped make it happen, and for those of you who have chosen to actively participate in some of the most important discussions around our industry with the team here at Outbrain. If you are a marketer and want to know more, we strongly encourage you to get in touch or join our Content Conversations community on MeetUp. Isabella is Marketing Manager, Asia Pacific at Outbrain, based out of their Singapore office. 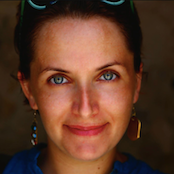 Originally from Italy, she has spent the last 6 years in Asia, and has joined Outbrain in May 2014. Isabella is passionate about technology and the digital space. In her free time, she enjoys music, traveling and yoga.